4. The camaraderie at the Glacier Storms River Traverse is legendary. Photo by: Oakpics.com. Taking place in the beautiful, untouched gem that is Tsitsikamma, the Glacier Storms River Traverse is set to be a top-class mountain biking race complete with phenomenal views, world-class trails and great hospitality. Whether you are an experienced rider or just starting out, this three stage event should be on your bucket list. Consisting of three fairly short stages (62.2km, 40km and 45.7km), the race showcases the natural beauty of the Garden Route – forest tracks galore, interspersed with breath-taking ocean views and including jaunts through idyllic farms and fragrant pine plantations. Each stage begins and ends at the historic Tstisikamma Village Inn, a comfortable resting point after a long day on the bike. While the leisurely 08:30 start times ensure a relaxed start to each day on the trails. 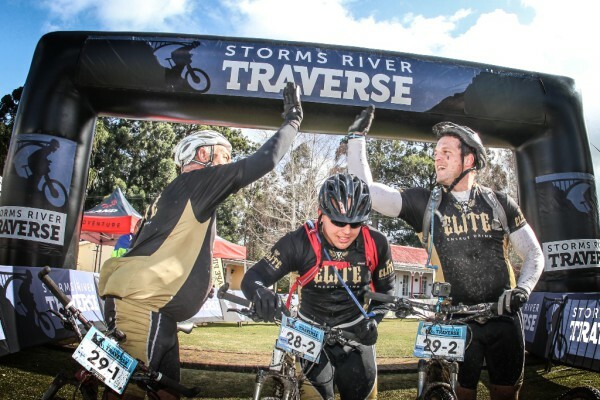 Being an exclusive event, with a limited field of entrants and an abundance of post riding festivities, allows the Glacier Storms River Traverse to double up as a great social experience. 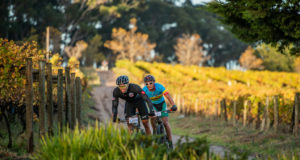 Following each stage, Dryland encourages riders to put their feet up and swap tales from the trails over a Cape Brewing Co craft beer, a glass of Fairview Wine, or a coffee. In addition to this, riders are kept well-nourished with healthy, hearty meals (or a few fresh, sweet delicacies for those with a sweet tooth). 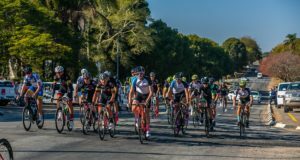 For families accompanying riders to the event, there are an abundance of non-riding activities available at the Tsitsikamma Village Inn and in the surrounding areas. For the spouse who hasn’t succumbed to the joys of mountain biking yet, there are hikes, horse rides, and canopy tours. For those seeking more of a rush, why not try bungee jumping, abseiling or blackwater tubing. For the little ones, there are daily activities planned at the Tsitisikamma Montessori School to keep them entertained and busy while you are riding. There will also be entertainment provided for children during the prize giving evening and day-care is available for any child under the age of three. The Glacier Storms River Traverse offers something to every member of the family, not just riders! For those still wanting to enter – time is running out! Visit www.stormsrivertraverse.co.za to book your spot online. Entries include three days of amazing riding, lunch and dinner from Friday evening (5th August) to Monday afternoon (8th August) and an official race garment. Please note that the entrance fee does not include accommodation. If you are looking to book accommodation, please find further information about the Tsitsikamma Village Inn or Dryland Event Management’s “glamping canvas tents” at: www.stormsrivertraverse.co.za/accommodation. If you would like to stay up to date during the build-up to the Glacier Storms River Traverse, please follow the official social media pages listed below. To book meals, day care or the kiddies entertainment packages for non-riding members of the family, please contact Wilma Pienaar directly at wilmapienaar@mweb.co.za or (084) 572 8031. For more information on things to do around Tsitsikamma for the not riding members of the family, click here.